Things to in Nantes, best restaurants in the city, shopping places and more are explained in details in this smart travel guide of Nantes. The apple of Pays de la Loire region’s eye, Nantes, is one of the most livable and enjoyable cities in France. Every year a large number of visitors arrive in Nantes and fall in love with the city’s unique charm. No matter for what your purpose of travel is, Nantes, for sure will have a very special place among your top destinations list and will make you want to come back some time soon. Nantes is the sixth biggest city in France. With a population of almost 900.000 people, it proudly carries the title of “the city of innovation” and contributes to the country’s economy in various fields. This is also another reason why every year Nantes become the hub for a lot of national and international meetings. The things that make Nantes one of the most livable cities in Europe is not only its beautiful streets and quarters; the improved transportation system, its being the European Green Capital as of 2013 and the city council’s as well with the local’s efforts on keeping the carbon emission and air pollution at a minimum level eventually turn Nantes into a place where one would like to live forever. The charming aura of Nantes where culture, history and nature walk hand in hand definitely offer a fantastic journey to travelers. There are a lot of attractions to choose from, too; you can get lost in the streets of the city that smells history, relax at the beautiful quarters or indulge yourself with the tastiest dishes of the French cuisine in many restaurants. Be prepared for a time that is filled with excitement and pleasure in Nantes. Nantes is located on west of France, on Loire River. Nantes Atlantique Airport hosts national and international flights. It is located 8 km southwest from Nantes city center and easily accessible by public transport as well as public transportation. The official website of Nantes Atlantique Airport gives detailed information about reaching the center from the airport or the way back to there from the city center. How to get around in Nantes? As mentioned before, Nantes has one of the most efficient public transportation systems in Europe. Therefore you can reach every part of the city easily by using buses or trams. The official public transportation company of Nantes, TAN, gives detailed information about routes and schedules, as well as ticket prices and more. If you need to take a cab in Nantes, you are recommended to wait at designated taxi waiting spots. Nantes is a city that has everything any type of traveler may be in need of. If you are history lover or a museum enthusiast, you’ll have hard time while choosing among the many places of interest to see. You can also shop elegantly in popular squares of the city or dine in restaurants that serve the most exquisite examples of the tasteful French cuisine. Enjoying yourself with a glass of your favorite drink or listening some nice tunes while you are shaking the stress away of the day is also among your possibilities in Nantes. If you feel you have done enough in the center of the city, just choose from one of the excursions and keep on exploring what Nantes and the surrounding area has got to offer you. If you are one of those who makes sure to visit at least one museum in the destination visited, you’ll be more than satisfied in Nantes. One of the most popular visited museums in city is Musée des Beaux-Arts (Fine Arts Museum). Jules Verne Museum is also another option which is definitely worth a visit since it opens the doors to life of one of the greatest persons in the world’s literature history. Château des ducs de Bretagne also may be a good exploration. In addition, the Nantes History Museum is located there, too. La Chapelle de l'Oratoire, Le Jardin des Plantes and Ile Feydeau are among the popular places to see in Nantes. Le Marché Talensac will make a nice stop for those who like to explore the local markets and the products the region has got to offer. The lieu uniqu has got a large number of bars and restaurants where you can easily spend an afternoon nicely. The visitors of Nantes might as well consider themselves to be lucky because it is actually one of the greatest cities to try some of the most famous blessings of the French cuisine. The region is pretty famous for its wine and seafood, so these two will definitely be included in the menu of any restaurant you visit in Nantes. Don’t forget; you are on the land where the god-sent crepes are originated. There may not be a better place to have some, accompanied by a tasty cup of coffee. Nightlife is vibrant in Nantes. You can find live music clubs as well with pubs in the center. Most of the hotel bars have nice bars where you can enjoy a nice cocktail. If you feel like dancing, there are also clubs you can check out and see the French way of having fun until the morning light. Nantes offer a wide range of shopping experiences to the visitors. You can check the local markets to buy fresh food, fruits and herbs if you are staying at a place where you have the possibility to store or cook them. You can also shop antiques or second hand gems in flea markets. Rue Crébillon is the main place for shopping. You will come across stylish boutiques and stores there. Atlantis le Centre is the main shopping center and you can find anything you may need there. Librairie Coiffard is a great option for books, especially for those who are interested in reading one about Nantes region. La Baule is a famous destination among visitors of Nantes, especially during summer season. The beach welcomes the visitors with different shades of blue and purest of sand. However you should keep in mind that if you are going to visit there during weekend, it will probably be very crowded. Another destination for those who would like to take a swim in Atlantic is Pornic. Both of these destinations are accessible by train. Nantes is one of the rising stars of Europe as an event city. Every year the number of international events held in Nantes is increasing. 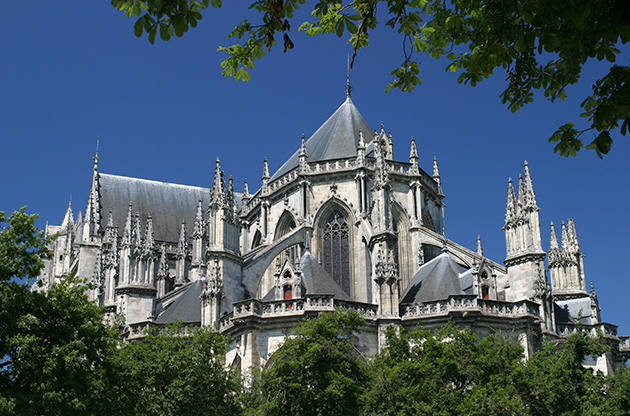 The natural beauty of the city and the accommodation options as well with venues that are equipped with the latest technology, contribute to Nantes’ being an assertive candidate to host some of the most important congresses, conferences, symposiums, trade shows and fair that take place throughout the year.